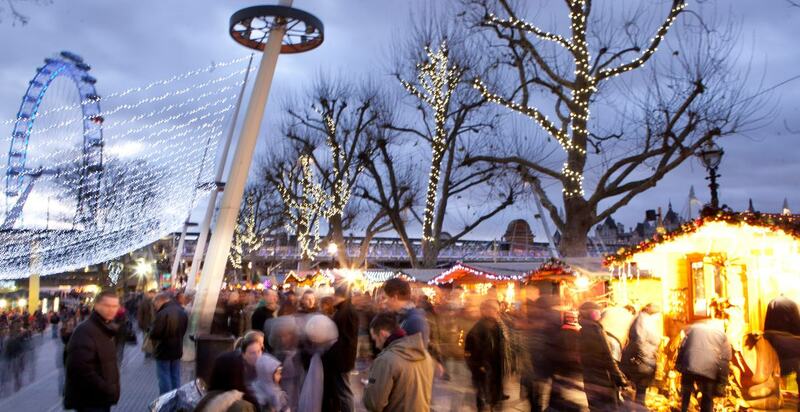 Wrap up warm and cosy as you wind your way through the fragrant Winter Markets beside the River Thames. Cradle a cup of warm mulled wine (or cider!) as you browse the many festive goodies from around the world: charcuterie and cheese boards; seasonal cocktails and hot baguettes; Asian, Indian and Greek cuisines; bratwurst and sweet treat stalls - they all await you! What's more, there's even sizzling fire pits to keep everyone toasty as you patter about the many, merry markets, as well as fondue evenings and private igloo parties! For more information, visit the Southbank Centre website.